No Kids Allowed – For Or Against? You are here \ South Africa Weddings \ Tie The Knot \ Wedding Tips & Advice \ No Kids Allowed – For Or Against? We specified there were to be no children at our wedding. And then bent the rule for my sister who had travelled up from Cape Town for the nuptials with a 6-month old. Some noses were put out of joint as a result. In hindsight, I don’t blame them – more than a couple had young children they’d had to leave at home. You can understand that this might be a contentious issue. But hey, she was breast feeding and who could she leave him with? Whether we like it or not, to have, or not to have children at a wedding is something of a can of worms. There are those (usually without children) who adamantly state that children should remain off the agenda, whilst those weddings that do have children often benefit from the sheer joyful impact they have on such a celebration. Each wedding is different, and the decision for or against is up to you. Valentine’s Day Proposal – Would You Do It? I am having the same dilema at the moment regarding the ‘no kids’ policy. 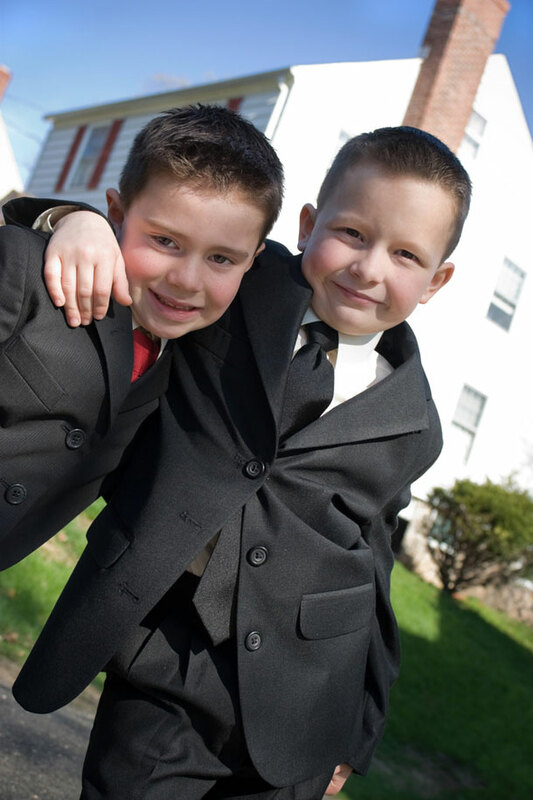 I have made my 8 yr old nephew my page boy, so he can attend – after all, he forms part of the bridal party. My soon-to-be step daughter has just given birth and will be all of 8 weeks old. So in my view, that is acceptable – she is a baby, not a kid! Quite honestly though, does it matter if anyone’s nose is knocked out of joint – whose day is it anyway? Furthermore, if the invite is addressed to say ‘Steven and Marie’ and doesn’t say ‘family’ or ‘children’, then surely it is just that. If they then ask or confirm ‘4 pax’ instead of the ‘2’, they can be declined and advised that it is just for the 2 of them. I totally agree. Its my day and if I want children there i will say so, the only child allowed at my wedding is my own one. And its because its her dad’s and my wedding and she is our flower girl. I dont want kids runnign around disturbing the peace. If you are offended my not inviting your kids, then you can decline the invitation.